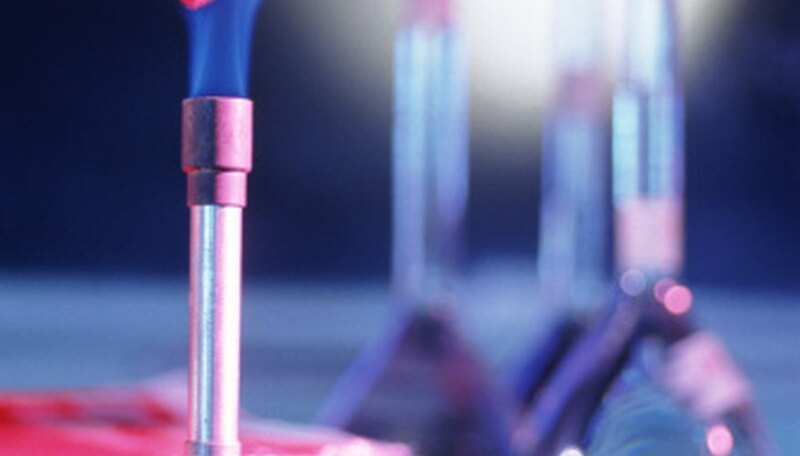 The Bunsen burner helped to develop the use of natural gas into a popular energy source. In 1885, Robert Bunsen invented the device, which mixes air and gas in the proper proportions to create a flame at very high temperatures. Bunsen burner experiments help to illustrate a variety of scientific principles, including changes in mass and flammability. Fill one beaker with water, the second with half water and half ethanol, and a third beaker with ethanol. Soak one piece of paper the size of a $1 bill in the beaker filled with water. Use tongs and hold it over the Bunsen burner. It will not ignite. Soak a second piece of paper in ethanol. The alcohol will set fire to the paper and it will burn away. Soak the third piece of paper in the ethanol-water mixture. Hold it over the flame long enough to ignite. The flame will burn away the ethanol, but the paper will not burn. Weigh a crucible containing a piece of magnesium. Place the crucible with magnesium over the Bunsen burner in the pipe clay triangle and put the lid on. Once the crucible is hot, lift the lid with tongs. The magnesium may flare. Continue to heat and lift the lid until you see no more reaction. Remove the crucible from the flame and allow to cool. Re-weigh the crucible with lid and the burned magnesium. The formula is magnesium + oxygen = magnesium oxide. Cover one end of the meter ruler with foil to protect it from the Bunsen burner. Attach a few strands of steel wool to the end of the ruler. Balance the ruler on a knife edge or triangular block at the 50 cm mark. Weight the empty end with plasticine until this end is just down. Heat the wool over the flame for about a minute. The wool will glow. When placed on the triangular block, the ruler will tip in the wool until the wool side of the ruler is down. The formula is iron + oxygen = iron oxide. Place stearic acid in a boiling test tube. Fill a beaker three quarters of the way with water. Hold the tube inside the beaker with a clamp stand. Heat the beaker with the Bunsen burner flame on a tripod. Place a thermometer in the test tube. Record the temperature of the stearic acid every minute until it reaches 70 degrees Celsius. Use the clamp stand to lift the tube from the hot water. Record the temperature of the stearic acid every minute until it reaches 50 degrees Celsius. Paden, Aminah. "Bunsen Burner Experiments." Sciencing, https://sciencing.com/bunsen-burner-experiments-8485934.html. 25 April 2017.